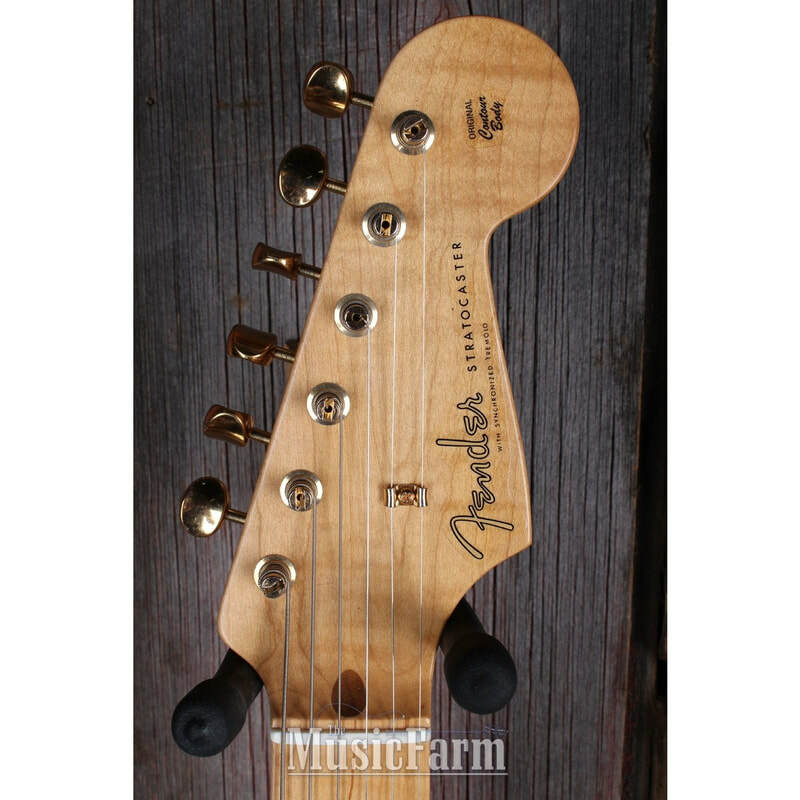 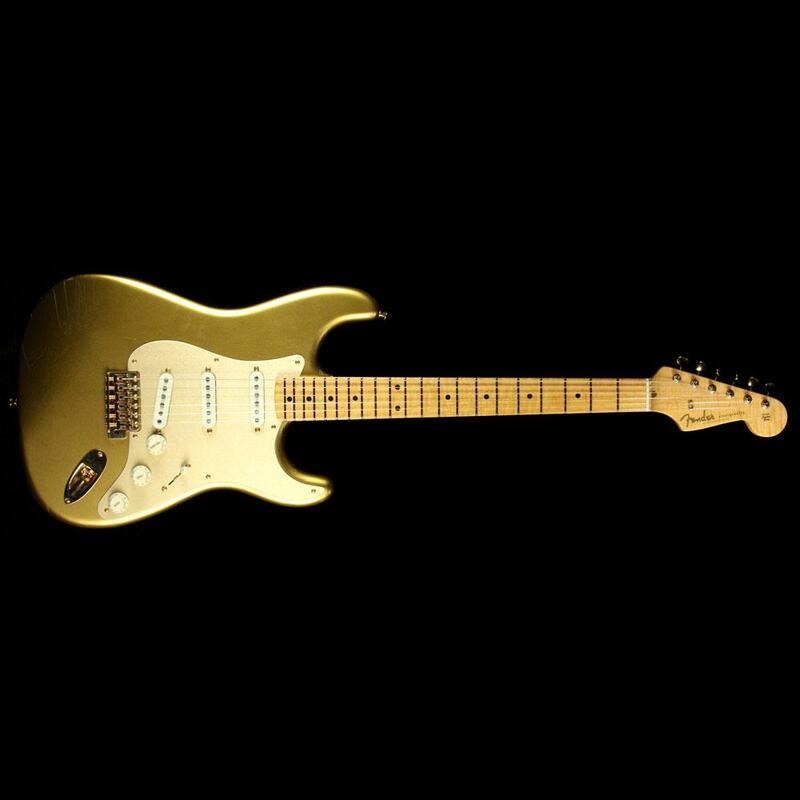 Neck Shape: 1957 Soft "V"
Other Decals, back: 30th Anniversary Custom Shop V Logo "Fender"
Commemorating the 30th anniversary of the Fender Custom Shop, the Limited Edition Closet Classic HLE Gold Stratocaster combines modern playability with stunning vintage style. 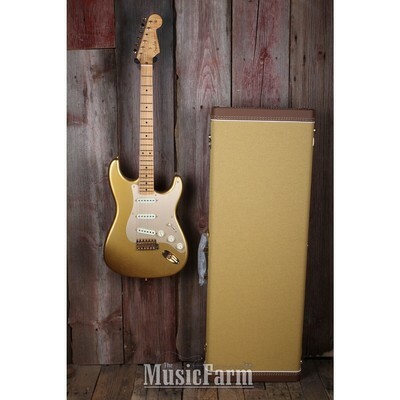 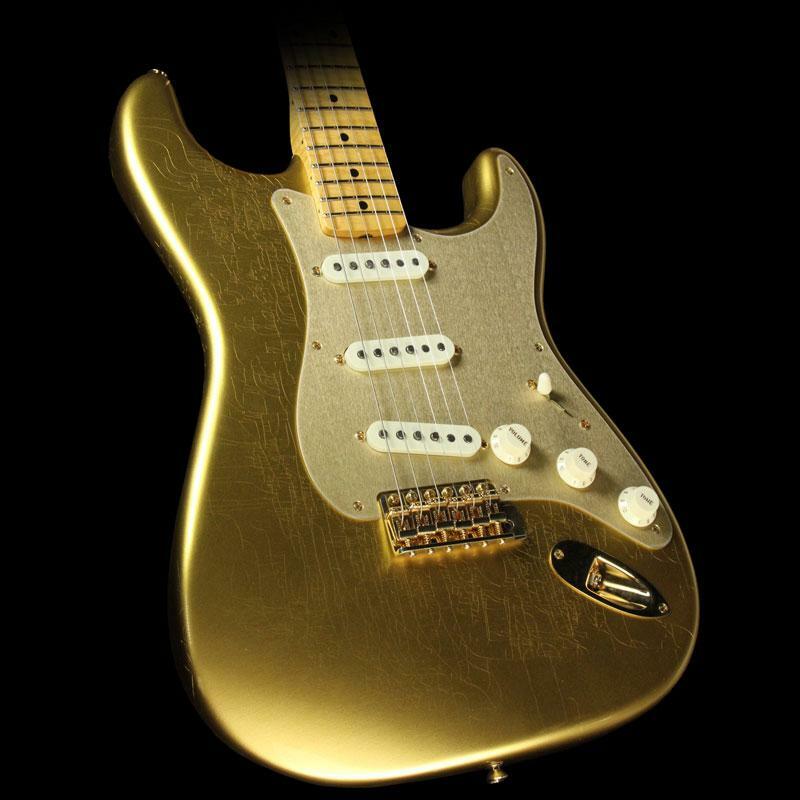 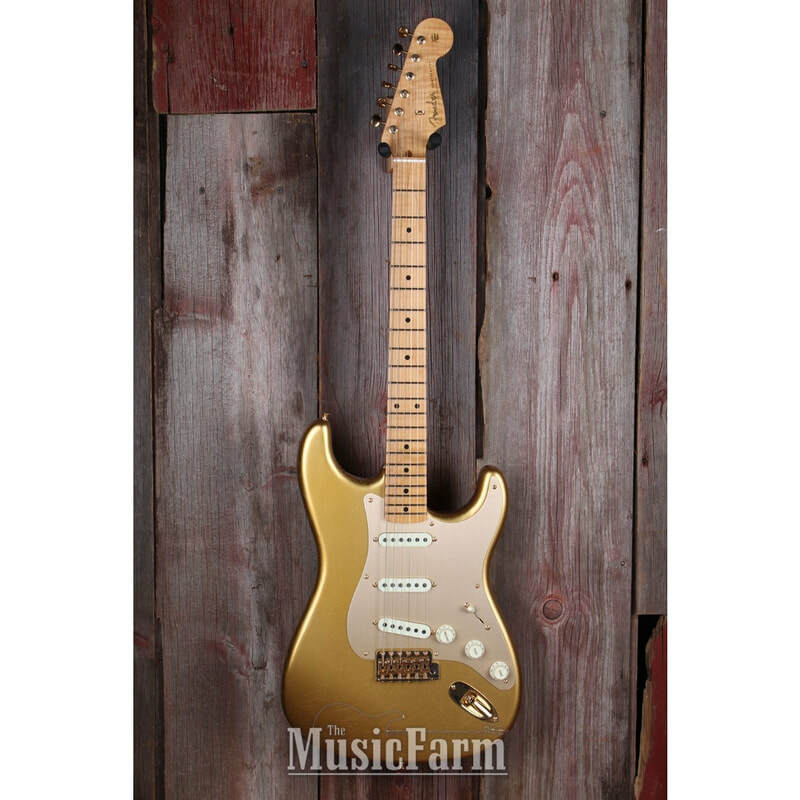 Originally a custom Strat created in the ‘50s for Homer Haynes, this golden gem of a guitar was re-released in 1987 as the first limited-edition Custom Shop model. 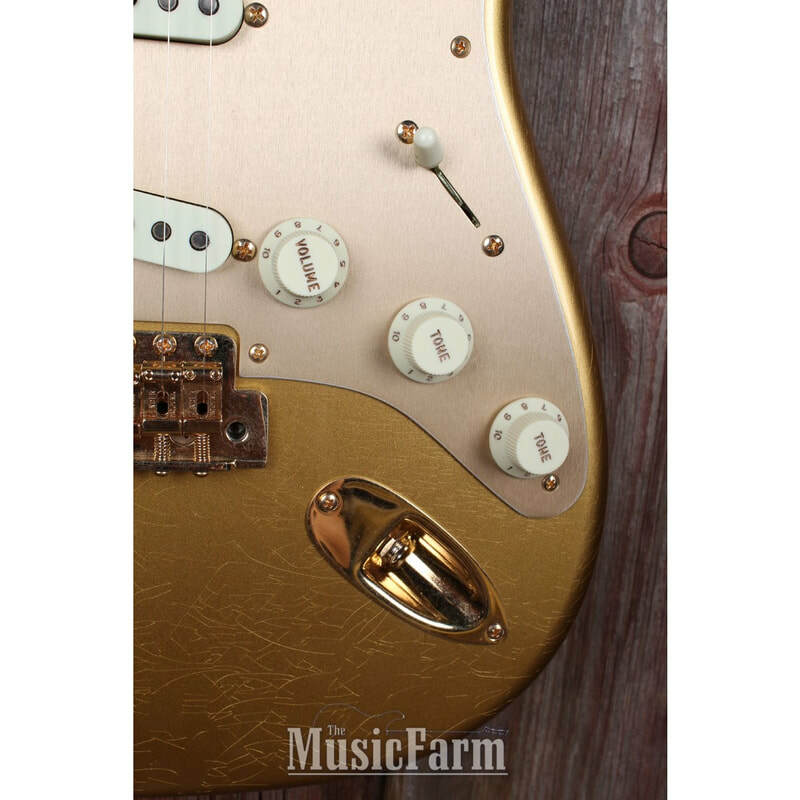 Three single-coil hand-wound Custom Shop ’57 Stratocaster pickups—including a RWRP middle pickup—provide authentic vintage-style tone, with all the pristine highs, punchy mids and robust lows that made the Strat a legend. Vintage Modified Strat #2 wiring adds even more sonic variety, connecting the middle pickup to the first tone control and adding our Tone-Saver treble-bleed circuit to the master volume control, ensuring your tone remains unchanged when reducing the instrument’s volume. 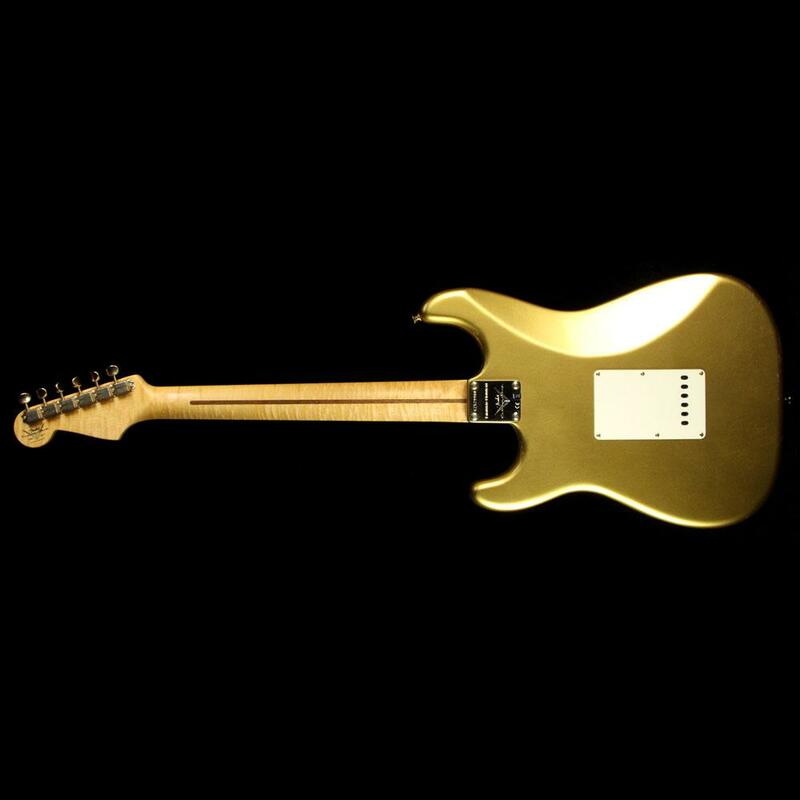 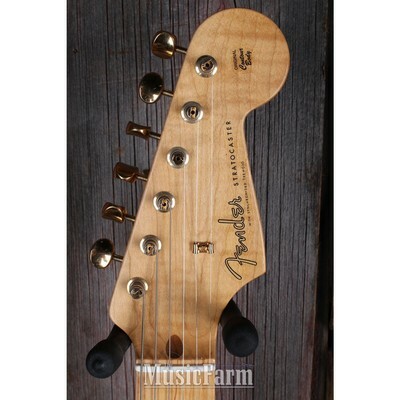 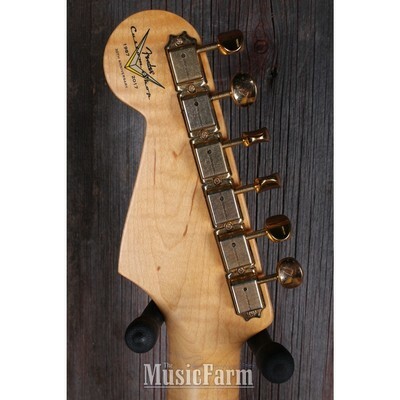 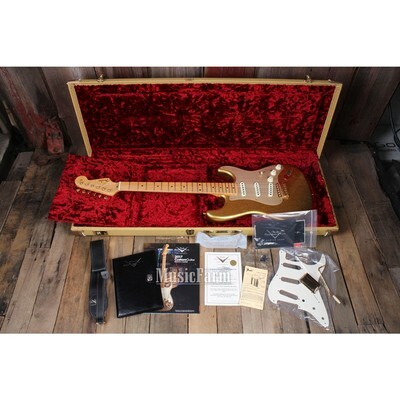 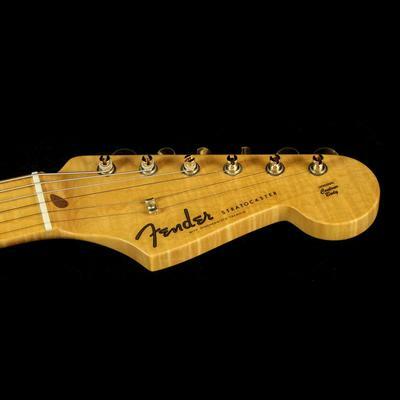 Other features include a lightweight two-piece ash body,’57 “Soft V”-shaped neck profile, 9.5”-radius maple fingerboard, six-saddle American Vintage synchronized tremolo bridge, gold hardware, 21 6105 frets, gold anodized pickguard, spare Parchment pickguard, bone nut and 30th Anniversary decal. 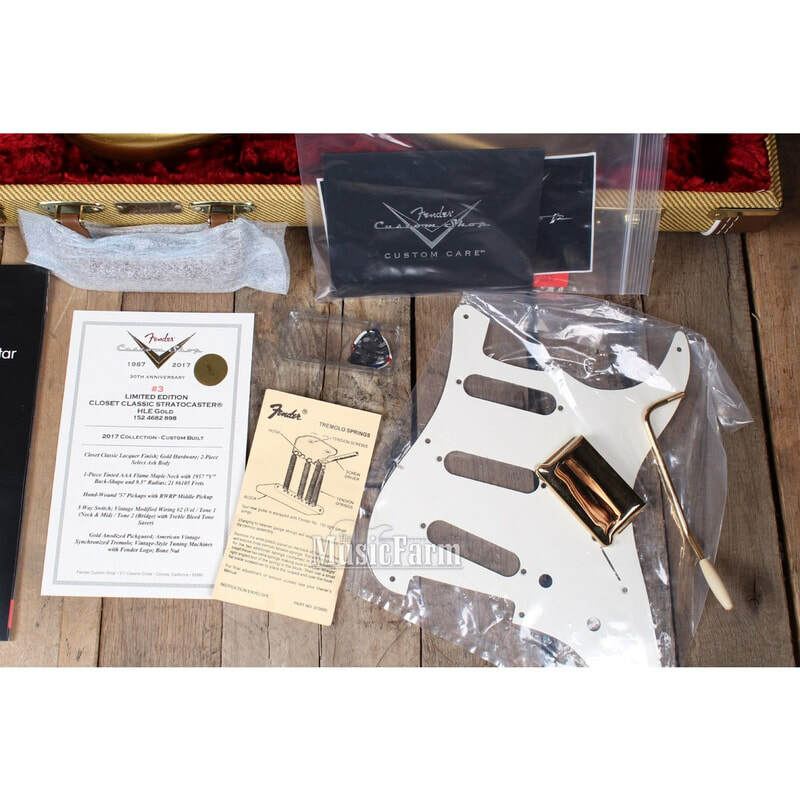 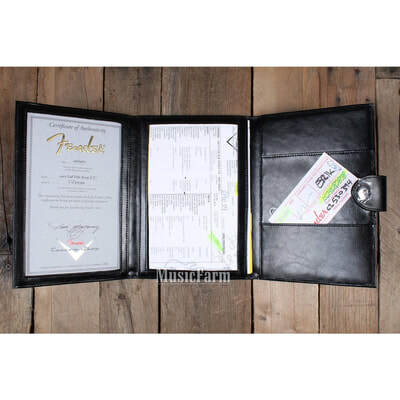 Includes deluxe Limited Edition hardshell case, strap and Certificate of Authenticity.